UCF comes from behind in the AAC Championship vs Memphis with a back-up QB who is not even in the same realm as Jalon Hurts. They run the table for the second year in a row and they don't even get a mention from any of the main stream sports outlets beyond their QB MM being hurt. Think college football is an equal playing field? I don't know if UCF is one of the best 4 teams in the country, but no one has beaten them in two straight years. Any non-P5 team could run the table and win every game 100 - 0 and not even get a sniff of the CFP. This is why, other than USF, I could care less about CFB. I was once a rabid fan of CFB and couldn't get enough, now, who cares. CFB has taken the greatest sports product in the U.S. and marginalized it for me. There are six or seven schools that matter in college football. Everyone else is an also-ran on their best day. that's the way it has always been. plenty of undefeated teams didn't get recognition in the past. they don't deserve to make playoffs with their schedule. Ok, then either do we if/when we run the table. We lack the fortitude to ever do that. And if we play a schedule like ucf did this year, no we wouldn't deserve a playoff spot. Spoken like a true ESPN analyst. It's amazing how effective their dribble is that you actually believe that. 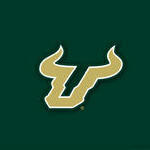 Then again, if usf actually ran the table two years in a row - you absolutely would not be saying that. We played virtually same schedule as UCF. Divorce yourself from the UCF hatred and plug us into the equation. If USF ran the table for two straight years and didn't get a mention people on here would be suicidal. Some are close going play by play in our current games. UCF has completed a monumental accomplishment and nothing. Toledo went undefeated for 3 straight years from 1969-1971. MAC champions. guess who they played in the tangerine bowl? That was an entirely different situation back then. There was no interest in pairing up the, "best" teams. It was all about bowl tie-ins. and guess what? ucf will be going to the bowl that they are tied to which is the NY6 bowl. they shouldn't be ********. they are not one of the "best" 4 teams in college football with or without Milton. who should they replace? undefeated alabama? undefeated clemson? undefeated ND? 1 loss OU? 1 loss OSU? hell even 2 loss georgia deserves it more.